The United Nations Special Rapporteur on the right to food, Ms. Hilal Elver, has completed her visit to Indonesia. Between 9 and18 April 2018, she traveled to various provinces of the island state and met with government representatives, agencies and civil society members and activists. Prior to the visit, the ICP had submitted a joint report on the right to food in West Papua, which was compiled in cooperation with various CSOs and individual experts. 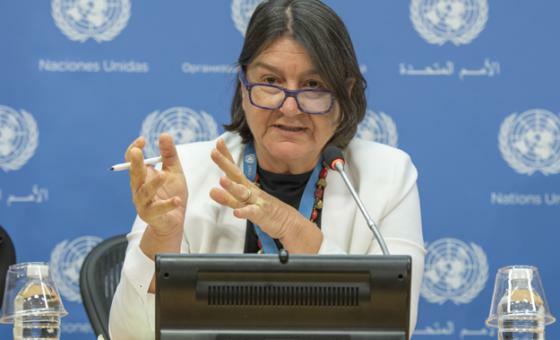 On 18 April, the Special Rapporteur gave a press conference in which she shared preliminary observations and seven recommendations. 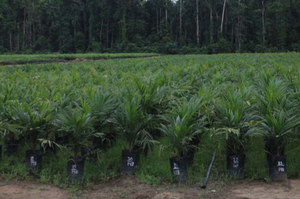 Some observations particularly refer to the right to food situation in West Papua. In the first quarter of 2018, the most significant observations are related to violations of the human right to health became significant in the high number of victims of epidemic outbreaks and malnutrition, which occurred in two remote regencies of Papua Province. The cases indicate a pattern of infectious diseases and malnutrition leading to preventable, considerable and chronic mortality in the Papuan population. Human rights defenders did not report of political mass arrests in relation to the restriction of the freedom of expression and freedom of assembly during the reporting period. 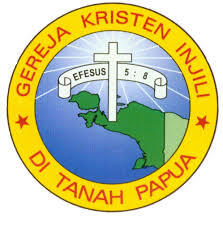 The Justice, Peace and Integrity of Creation Desk (JPIC) of the Evangelical Christian Church in the Land of Papua (GKI-TP) has reported of growing concerns over the presence of prominent radical Islamic leader Jafar Umar Thalib (JUT) in the Papuan regency of Kerom. JUT is the founder and head ofÂÂÂ ‘Laskar Jihat’, a militant and radical Islamic organization in Indonesia. Official government letters indicate that JUT has moved away from Yogjakarta (Central Java) and is currently residing in Kerom.ÂÂÂ The presence of JUT has lead to rejection and anxiety among many people in Kerom and Jayapura. According to JPIC, JUT has begun to build an Islamic boarding school (Pesantren) in Kerom and carried out multiple activities promoting the spreading of Islam in Kerom, Jayapura and various other places in Papua..
Franciscans International, VIVAT International, International Coalition for Papua and West Papua Netzwerk, Geneva for Human Rights and Dominicans for Justice and Peace have delivered a joint statement on 2 March 2018 at the 37th Session of the UN Human Rights Council. The statement was delivered in response to severe cases of malnutrition which have repeatedly occurred in remote areas of West Papua throughout the past three years. The Human Rights Lawyers Association for Papua (PAHAM Papua) published a press release on the 20 March in which the lawyers expressed their disappointment over the court ruling in the Poumako case. The trial was processed at the III-19 Military Court in Jayapura. Chief Brigadier Yusuf Salasar was sentenced to eight months imprisonment which will be reduced by the period of detention. The military prosecutors had demanded a sentence of 15 months imprisonment. 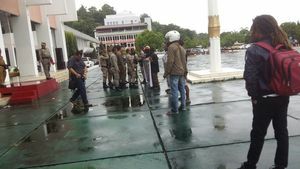 PAHAM Papua assessed both, the court ruling and the demanded sentence by the military prosecutor as disproportionately low. 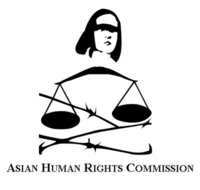 The Asian Human Rights Commisson (AHRC) has published a statement in which the organisation criticizes the new version of the Indonesian Penal Code and demands a revision of the bill. The drafting committee should incorporate international human rights principles into the bill and take into account the public input and list of problems that had been discussed in a series of public hearings in the parliament. It is essential that the new penal code does not become a political tool to protect the government and criminalize dissenters and political opponents. 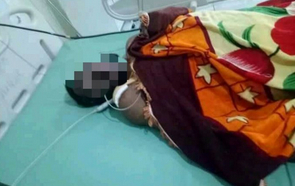 The Papuan media outlet ‘Suara Papua’ has documented another case of torture which occurred on 14 March 2018 in the public hospital of Karubaga Town, in the Papuan regency of Tolikara. 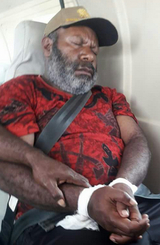 A member of the police mobile brigade (Brimob) allegedly tortured Yuten Gurik, a Papuan suffering a mental disorder, which is characterized by uncontrolled emotional outbursts. The officers perceived his behavior as a disturbance of public order and handcuffed him. As Yuten loudly protested against being handcuffed, the police officer repeatedly struck him with a rubber baton. Upon seeing this, Yuten’s relative asked the officer to stop the beating, explaining that Yuten was suffering a mental disorder and that it would be enough to handcuff him. On 4 April 2018, members of the local Police, Intelligence (BIN), police special unit ‘BRIMOB’ and the military district comand ‘Kodim 1701 Jayapura’ searched several houses in the residential area ‘Perumnas III Waena’, located in the Heram District of Jayapura. The houses were inhabited by stundents of the Cenderawasih University in Jayapura. 45 students were arrested. Subsequently, the students were brought to the BRIMOB head quarters in Kota Raja and later detained at the Jayapura district police station. Two students were brought to the sub-district police station in Abepura (Polsek Abepura). Human rights defenders from the Justice, Peace and Integrity of Creation Desk of the Papuan Tabernacle Church (JPIC KINGMI Papua) have reported a further shooting by police officers in Mauwa Village, Kamu District of Dogiyai Regency. 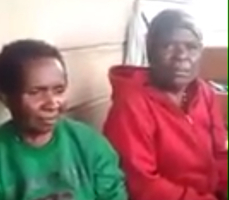 On 6 April 2018, at 8.00 pm police officers came to Mauwa Village to investigate a theft which had been reported by a villager named Arifin. Several young men were protesting against the presence of the police officers at the village. The young men were allegedly acting under the influence of alcohol. An argument between the villagers and the officers arouse, which upon the police officers released three warning shots. An unexpected visit to West Papua by a government delegation of the pacific state Solomon Islands has raised concerns over a possible change in the government's stance towards the West Papua conflict among Papuan civil society. In response to the visit, Papuan civil society groups released a public statement in which they expressed their position and concerns regarding the visit. The Solomon Islands, under the former Prime Minister Manasseh Sogoware, was an outspoken supporter for Papuans right to self-determination. 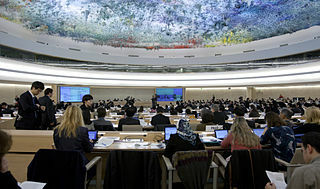 The country repeatedly addressed the human rights situation in West Papua at the Human Rights Council and the General Assembly of the United Nations.